Ideal for a business trip or holiday, you can rely on this fabulous 28” suitcase to care for your belongings. 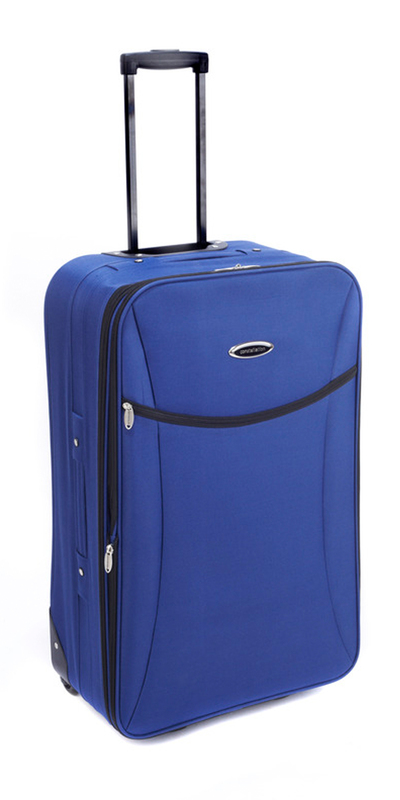 Featuring gorgeous sleek blue material, it has a retractable trolley style top handle which is great for pulling the suitcase conveniently through the airport, while the additional top and side fabric handles are suitable for lifting the case up into cars. The front zip pocket gives you easy access to your passport and papers so you can enjoy a simple journey from start to finish. Tough and durable, this 28” Rome suitcase is made from smart blue material for a timeless look suitable for every travel occasion. It has a two small, smooth wheels and a retractable aluminium top handle so you can easily pull it behind you through the airport. The front zip pocket provides a useful space to store your passport, papers or wallet within easy reach during your journey. Measuring 76 x 48 x 26 cm, including wheels and handles, it has a huge capacity of 77 litres and weighs just 3.56 kg when empty. The suitcase features handy top and side fabric carry handles for easy lifting and an expander for when you need a little extra space.